"Information and advice about anxiety and mental health"
"Blind Motherhood is more than just a blog; it’s an online resource for individuals and their families who have been impacted by vision loss." "bp Magazine is a 50,000 circulation quarterly speaking to the 5.7 million Americans and 500,000 Canadians who have been diagnosed with bipolar disorder, along with their families and medical caregivers. bp is not a medical journal, but rather, a lively and information-rich consumer magazine." "We invite you to share a concern, offer a point of view, or raise an issue about some aspect of bipolar disorder. For “On My Mind,” we are not looking for chronological accounts of one’s history with bipolar (from diagnosis to specific episodes through recovery). 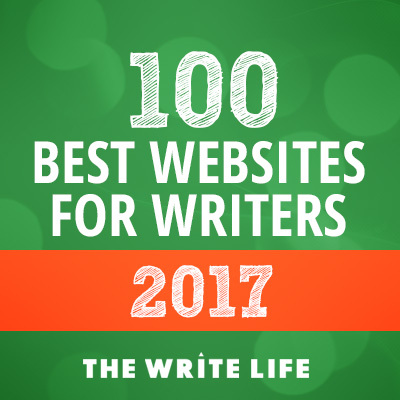 We ask writers to take a stand, voice an opinion, perhaps even criticize something that incites you … and allow readers to gain insight into your topic." "Here at CD we constantly publish informative articles, useful tips, how-to guide, expert interviews, experts round-up, and product reviews dedicated to cooking, cooking courses, cooking products, healthy recipes, nutrition tips, entertaining menus,fitness guides and other related topics." "Greatist helps you find what’s good for you. Not like “eat your vegetables, they’re good for you.” More like “here are some choices you can realistically make, stick with, and feel really good about.” Because in the end, you don't have to choose between being happy and being healthy; they're really the same thing." "With over 6 million visitors, we are the fastest growing (and largest) independent publishing platform focused on sustainable food, animal welfare issues, environmental protection, and cruelty-free/green living. If that’s not enough, we also just happen to be biggest vegan/plant-based food and recipe site on the Internet." "the world’s largest and oldest independent mental health network online today (with over 7 million unique visitors/month)." "We are an online handbook for living naturally in the modern world, a vivid chronicle of friendly, authoritative information about global cooking, gardening, design, wellness, and travel." "Welcome to Stigma Fighters: a non-profit organization providing a platform for real people to tell their stories about living with mental illness." as humor, personal essays, expert advice columns, profiles and how-to articles. Our mission is to empower readers with knowledge of essential health topics and resources needed to enjoy optimum physical and emotional wellness at any life stage." "Tonic is a website and digital video channel that covers wellness, science and big-picture health issues. We'll tell the human stories on the leading edge, capture paradigm shifts in research that allow us to see the world in new ways, and offer a roadmap to people who want to live healthier lives." "Think of us as your friend who also happens to be a doctor. Or personal trainer. Or dietitian. Verywell is your source for reliable, understandable information on hundreds of health and wellness topics that always keeps the reasons you come to us in mind. Know more. Feel better." "Vitabella Magazine is about celebrating life: Food, Health, Travel and more.We are a monthly online magazine with Meal Planning Guides and other fun stuff."